2. What Is the Tax on Lotto Winnings in California? Just as the Powerball jackpot keeps growing, so does the share the taxman will take if you're lucky enough to win. All lottery winnings are subject to federal income taxes and most states charge state taxes, which could range from 2.9 percent to 8.82 percent, depending on where you live. Ohio isn't the worst state to win the lottery in, but it isn't the best either. Residents can expect to hand over 4 percent of their cash pile to the state government. The state also permits local tax authorities, such as cities and villages, to tax lottery winnings as ordinary income. When you win a large sum on the lottery, the state will give you the option of taking all the money as a series of regular payments made over 30 years, or taking a slightly smaller (though possibly still enormous) one-time lump sum check. Whichever method you choose, anything above $600 is subject to federal income taxes. You pay the taxes in the year you receive the payment. Your final tax bill will vary depending on your personal situation. Generally, you can expect a big win to push you into the top tax bracket, which is 37 percent in 2018. An annual annuity payment of, say $150,000 per year, would be taxed at the much lower rate of 24 percent if you file single and 22 percent if you're married filing joint. But the annuity payout may still push you into a higher federal tax bracket than you are usually in. And these rates do not include the state and local taxes you could face in various municipalities. After federal taxes are deducted, there are state taxes to think about. These vary based on where you buy the winning ticket. Purchase the ticket in Ohio, and you will pay 4 percent of the winnings in state taxes. While slightly less painful than the federal tax bill, you'd still be losing $400,000 in Ohio state taxes on a $10 million lottery win – together, the federal and state tax bill would slice 41 percent off your lotto check. The rate is the same regardless of whether you live in Ohio or out of state. Winners in other states could walk away with a much bigger share of the jackpot. Nine states, along with Puerto Rico, don't charge any state taxes on lottery winnings: Florida, California, New Hampshire, Delaware, South Dakota, Texas, Washington, Tennessee and Wyoming. The worst states to win the lottery in are New York and Maryland, with state tax rates of 8.82 percent and 8.75 percent respectively. The state of Ohio also permits municipalities, such as cities or counties, to tax lottery winnings, although not all of them do. The cities of Dayton, Akron and Chillicothe have all chosen to tax lottery winnings, for example, with municipal tax rates typically sitting in the region of 2.25 to 2.5 percent. In order for municipalities to collect the tax, they must specifically declare that lottery winnings are taxable income in their city charters. You should check with the city to see if lottery winnings are taxed and take care of any reporting requirements. Win $10 million on the lottery, and it's likely that your publicity-friendly cardboard check will be made out for the sweet sum of $10 million. But the actual paper check – the one your bank will accept – will show a smaller figure. That's because the state must deduct 25 percent of the headline win for federal tax withholding. Strike it rich to the tune of $10 million, and you'll receive a check for (only) $7.5 million on account of the tax withholding. If you don't have a Social Security number or you're a foreign citizen, the tax withholding increases to 28 percent and 30 percent respectively. Federal tax withholding kicks in at $5,000 of winnings, according to IRS rules. Ohio state revenue collectors will also withhold their 4 percent cut. When combined with the federal tax withholding, that reduces the cardboard check by a total of $2.9 million. The withholding is passed to the IRS and the Ohio state tax department respectively and credited toward your final tax bill. When tax time rolls around, you'll have to pay the rest of the taxes you owe. Here's something else to watch out for – the lottery will get in touch with child support and other agencies to make sure you don't owe child support, student loans or back taxes before writing your check. If you do, those debts will automatically be subtracted from your win before you receive your check. For lottery tax purposes, it doesn't matter which state you live in. State taxes are based on where the lottery ticket was purchased, not where you reside. If you buy the winning ticket in Ohio, you have to file an Ohio state tax return and pay Ohio's 4 percent lottery taxes on the payout irrespective of where you live. Moving out of state does not reduce your tax liability. If you give away more than $15,000 to anyone other than your spouse in the same calendar year, you'll need to file IRS Form 709 every time you make a gift. This form acts as a disclosure to the IRS and allows the tax authorities to monitor how much money you're giving away over your lifetime. Currently, you're allowed to transfer property up to $11.18 million either during lifetime or at death without paying any federal gift taxes. Whenever you report a gift, the gift amount is applied against your exemption. It's only when gifts exceed the exclusion sum of $11.18 million that taxes accrue. What this means is that any amount you gift during your lifetime will reduce the amount available at death for tax-free transfer. Suppose, for example, that you generously give away $5 million of your big lottery win to friends and relatives. The remaining exemption that your estate could claim at death would be $6.18 million ($11.18 million exemption less the $5 million lifetime gift). If your estate is larger than that, the excess will be subject to a flat estate tax rate of 40 percent. The good news is that with the exemption currently set so high, most people don't have to worry about federal gift or estate taxes, anyway. Some states impose gift and inheritance taxes but Ohio does not. This means that Ohio residents don't have to worry about making gift transfers during their lifetimes, although federal gift and estate taxes still apply. Tax avoidance is a federal crime and obviously you don't want to go down that path. There may be some tax breaks available to people who make large donations to charity, and their final tax bill may look quite different to someone who blows the money on cars, boats and lavish vacations. If you're planning to share your winnings, you may be able to avoid gift and estate taxes by legally sharing the ownership of the ticket. Signing an agreement that makes all the intended recipients legal co-owners of the ticket means the winnings will be taxed as if each recipient owned the money as part of their income rather than a gift for those co-owners. Since it's the donor and not the recipient who pays gift taxes, this could save you a lot of money. If you win big, it's critical that you find some professional tax advice for help on how to reduce the tax blow. The rules are complex and you could lose out if you try to navigate them on your own. 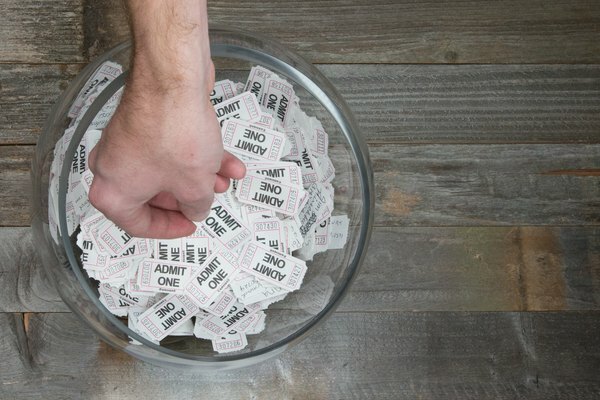 Law Office of Donald P. Schweitzer: Do Lottery Winnings Count as Income for Child Support?